The Environment Ministry of Saskatchewan recently announced that it was accepting applications from municipalities for funding to clean-up contaminated sites. Critics claim the paltry $178,000 in the fund is barely enough to cover the costs of the clean-up of one site. The source of money in Saskatchewan’s Impacted Sites Fund are the fines collected under The Environmental Management and Protection Act, 2010. Administered by the Saskatchewan Ministry of Environment, the fund provides financial support to municipal governments to clean up these sites so they can be used for future economic or social development opportunities. An abandoned, environmentally impacted site is an area, such as a former gas station or laundromat, that has been contaminated. 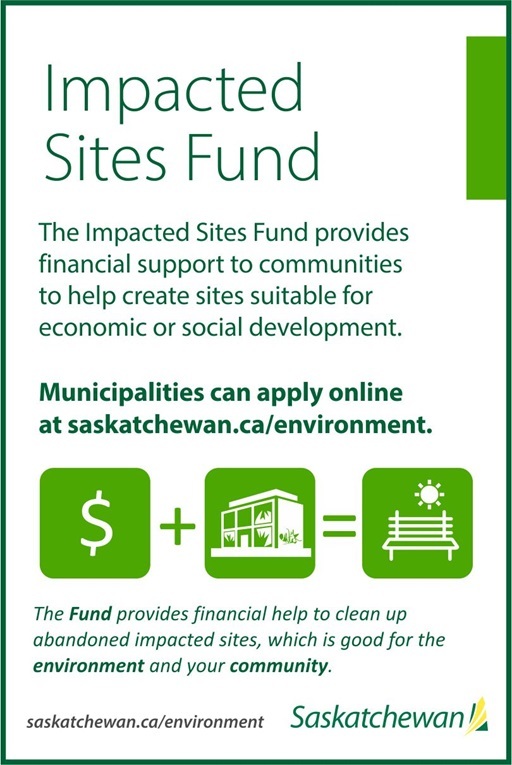 Municipalities can apply for funding at the Saskatchewan Environment Impacted Sites Fund web page. Municipal governments and municipal partnerships, which may include municipally owned corporations, not-for-profit organizations, and private companies, are eligible to apply for project funding to clean up the contaminated sites using the Impacted Sites Fund. Applications are not funded on a first-come, first-served basis. The Ministry of Environment will assess and rank the applications according to environmental, social, and economic factors. First priority will be given to sites that pose the greatest risk to human or ecological health.